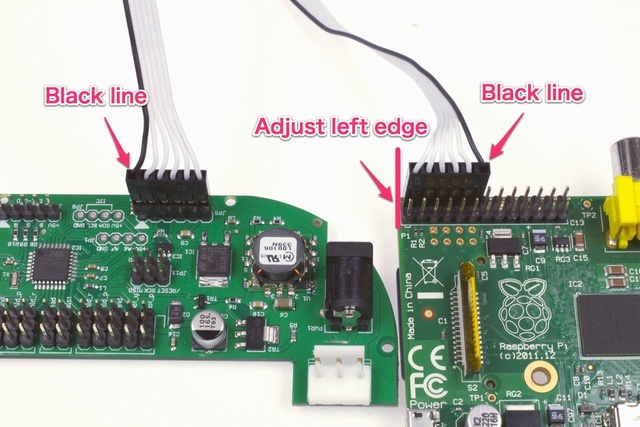 Connect Rapiro board and Raspberry Pi! To connect Rapiro board and Raspberry Pi, you should use the 6-pole cable which comes with Rapiro kit. Please connect the cable as shown.